Europa League Winner To Get Champions League Place? Michel Platini has explained his position on the Europa League after speculation that he intended to scrap it in favour of an enlarged Champions League. An interview in a French newspaper seems to have had Platini lost in translation as he claims he never said he had any intention of scrapping the Europa League. “I said there’s reflection going on to figure out what shape the European competitions will take between 2015/18. We are discussing it and we’ll take a decision in 2014, nothing has been decided for the time being and that is what I said. Then I read in the papers that there was a war that was going to stop the Europa League, I said nothing of the sort”. “I can’t speak for one or two countries, I have to speak for fifty three. It is a competition for top clubs all over Europe and each has a chance to win it. It’s open to everyone and a very popular competition, we have to see what we can do to improve it and this is an ongoing discussion”. 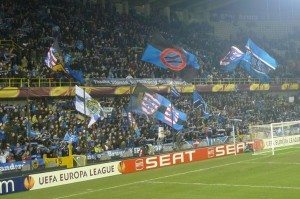 It has been reported that one of the measure seriously talked about to improve the Europa League is to give the winners a place in the following season’s Champions League and maybe even also to the losing finalist. Without doubt this would tick a lot of boxes in terms of making the Europa League more attractive and the endless Thursday/Sunday matches that little bit easier to bear.